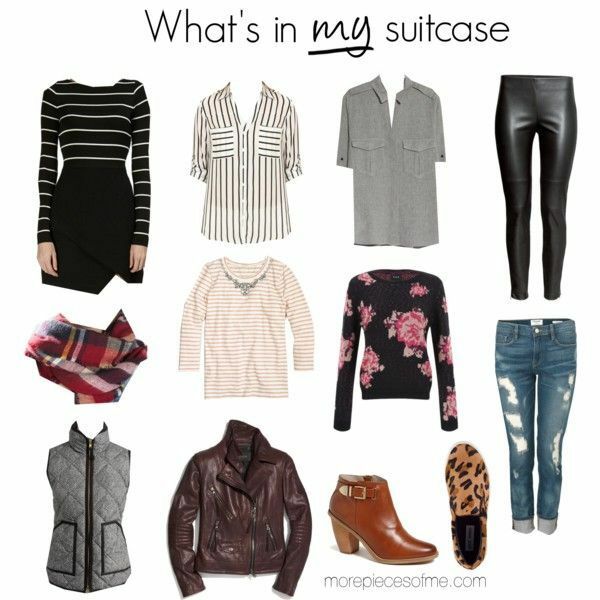 We got back from Montreal last night, so as I've been doing lately, I wanted to share what was in my suitcase and the outfit options I had in mind while I was packing. I definitely felt a little bit more organized than the last time I packed, which was to meet the nephew and the Gina! :) I think it was mainly because my suitcase was already packed, so it was just a matter of switching out clothes. But all my travel toiletries, jewelry, garment bags, electronics, etc., were already in their right place. It was also easier to choose outfits because I was able to bring my highly anticipated fall pieces vs. having to revert back to summer pieces that I had already mentally retired. I brought a few new pieces with me that I've been dying to wear. The Zara scarf is just as wonderful as I expected it to be. It is BIG. I definitely felt like I was wearing a throw around my shoulders, but I like my scarves like I like my hair - GINORMOUS. These booties passed the comfort test. I knew they were great when I not only survived wearing them at the airport, which is a test in and of itself, but I had to stand in the longest customs line ever in Montreal and my feet were absolutely fine. And then as you read on Monday - I wore them walking around the city for six whole hours. I did have to retire them for dinner, but still! The little break at dinner and I was able to wear them again the next day. And again today. That's awesome! As if I didn't love them enough already! And I'm soo very glad I decided to get this minus the leather moto jacket in a second color. My black one was on major repeat last year, and I know this oxblood one will get just as much, if not more, airtime. 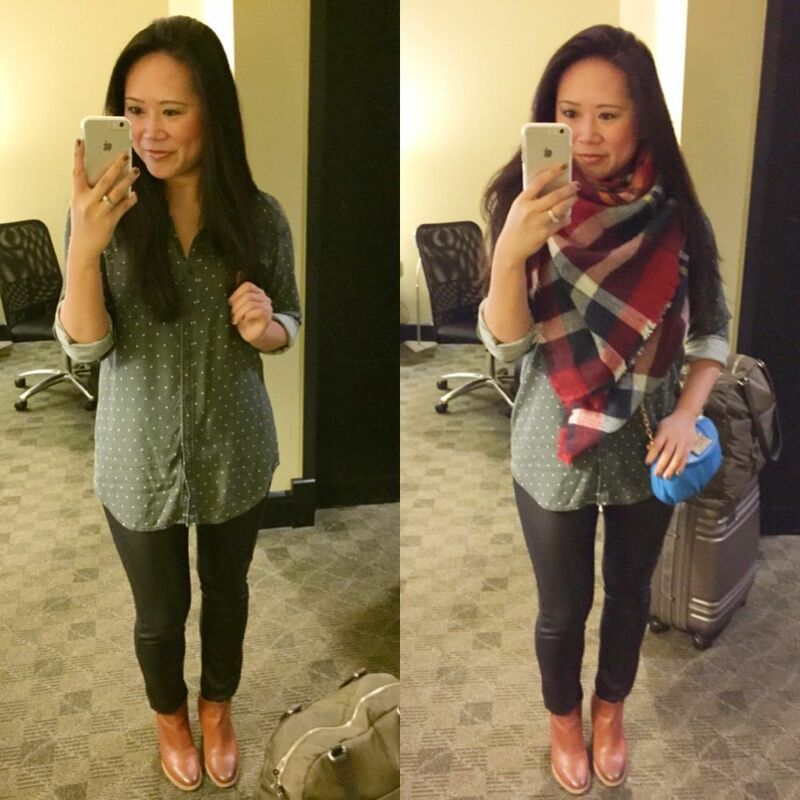 The fit is just perfect - and it's great for travel because it's not bulky (i.e. easy to pack) but still warmer than you would think for its weight. OK, so all that being said - what did I actually wear? I ended up wearing everything except for my herringbone vest. It was a little bit too cool to just wear the vest, even during the day, and I knew it would be too warm for me to wear on the travel home - the scarf is way easier to fold and put away if I were to get hot on the plane. My booties and oxblood jacket proved to be the right choices for this trip - I love how they make every outfit a little more special! Pretty sad to head back to real life. However, St. Louis Fashion Week officially starts today which means I will have all sorts of goodies to share with you over the next week and a half! Told you October was going to be crazy for me! Linking up for: Thrift Sisters with Ayana and Keren, What I Wore Wednesday, Random Wednesday, I Feel Pretty, Whatcha Wearin Wednesday. Love this and I really need to check out Bailey 44 more often I love this dress so much. And that express jacket is on my wishlist. Seriously! Bailey 44 is the best. I just love the way their dresses fit me and their designs are funky and unique! Oh, and super excited to hear about fashion week!!! It does take some massaging to keep it under control! 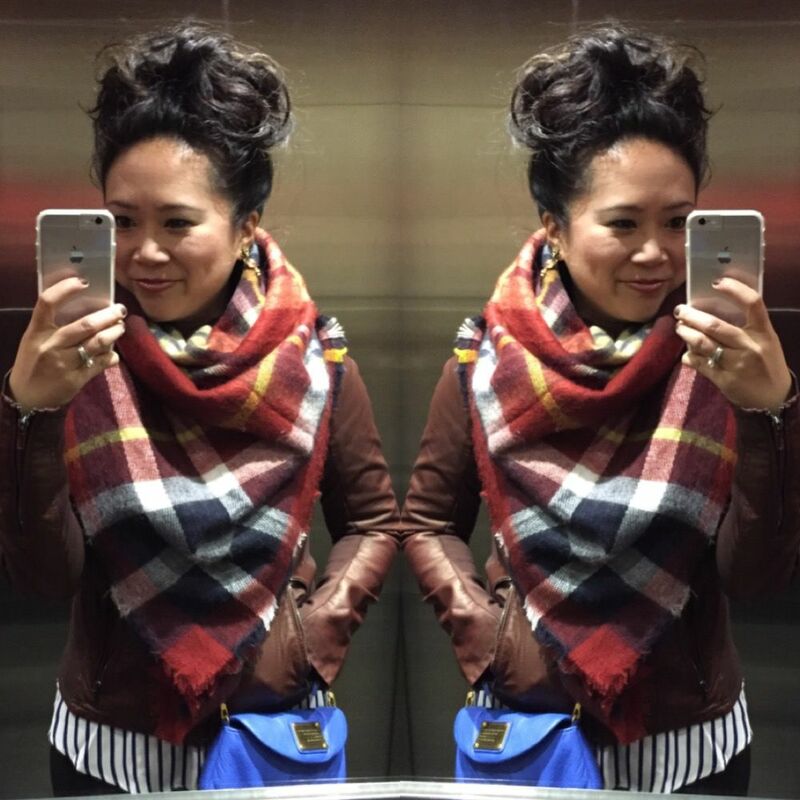 It's such a statement piece and for a blanket, I do feel kind of cozy chic when I wear it! It just adds life to an outfit! Send me a pic!! I wanna see yours!!! They're pretty great. There are so many options out there right now, some worse than others, as you know. So I hope you land on your perfect pair if it's meant to be! And I really wish I got this oxblood jacket sooner! It's the best! Remixing is the best- so much fun coming up with new combos! 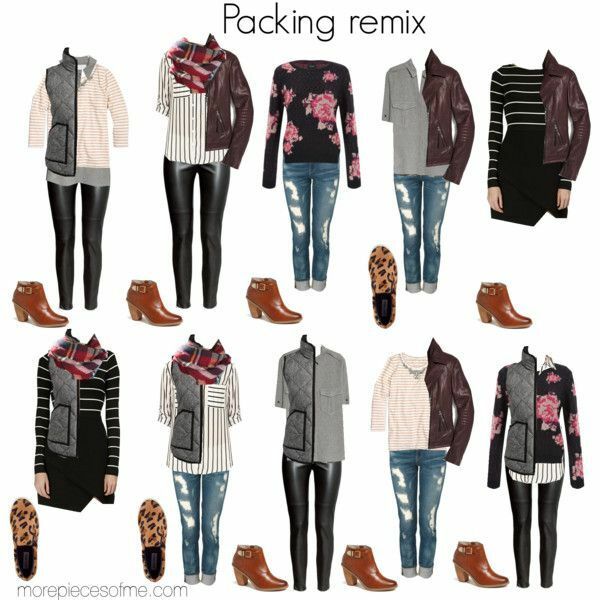 Love all your outfits and it amazing how you remix all your stuff and make them completely new. Crushing hard on that sweater with the floral pattern on it. Thanks! It was a Nordstrom anniversary sale purchase and every time I see it, I'm glad I got it! What a great idea for a post! 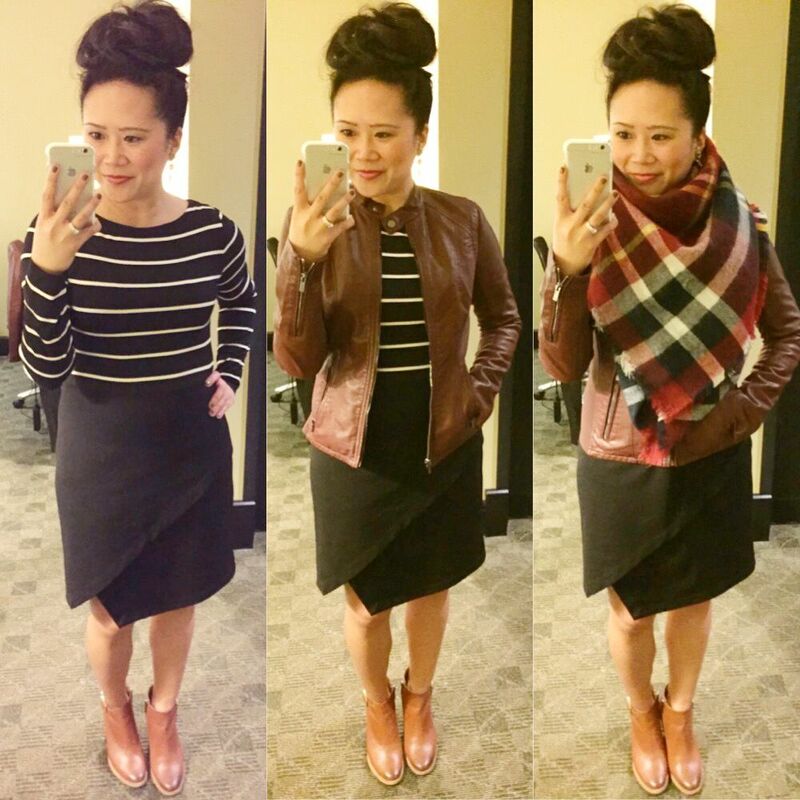 I love so many of these pieces, especially the booties, scarf and brown leather jacket! I feel like fall clothing is so versatile and I get so much more creative with clothes I already own in fall because you can mix and match so easily. Yes it sure is! My favorite piece right now! Those boots are a great color and look so good with all of the outfits. You did a great job mixing and matching. So many great looks, you are so good with mixing it up!! Absolutely love the blanket scarf and your neutral boots. That is a big compliment - thank you! Hi there! You look great and all set for Fall. 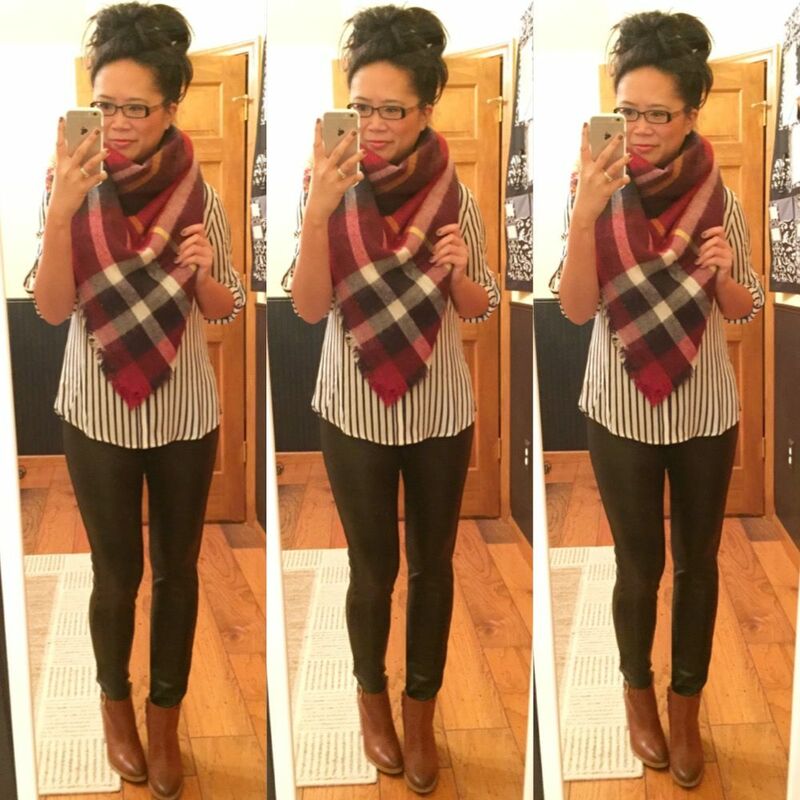 The scarf and booties are must have staples to keep any outfit anchored just right. I am visiting from the link up at the Pleated Poppy. And I'm in love with these booties so much! 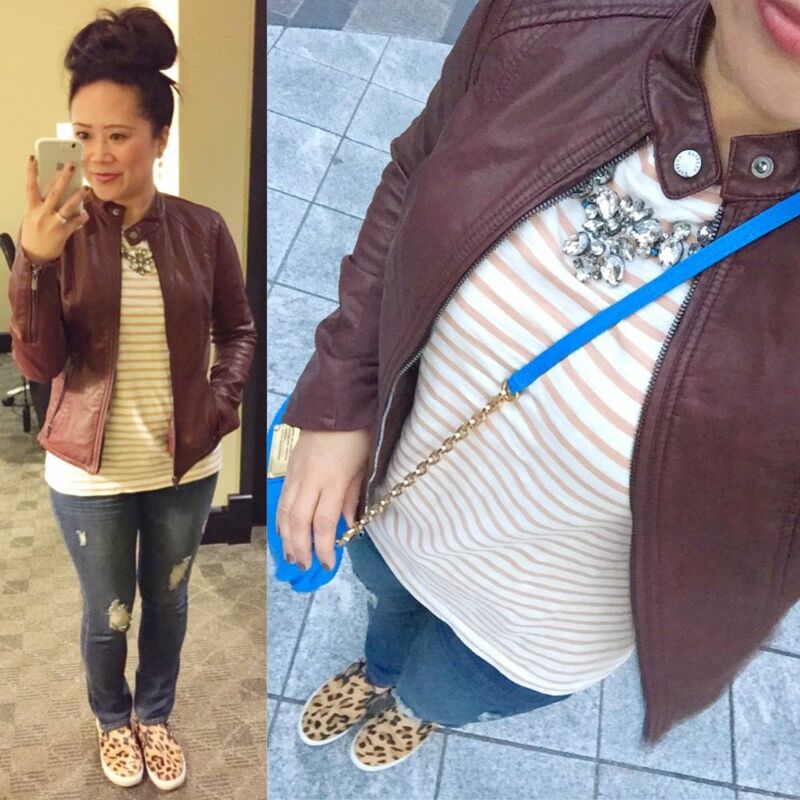 Love this post and great outfits you created! I am never a planner when it comes to packing and just end up throwing whatever I find in my suitcase and nothing matches. BTW, I hope you will join my TBT Fashion link up - it's up on the blog now. I try to do that too, but just tend to grab things that I know will go together without having to try them on. The same color family or choosing colors/patterns that I know can mix well together definitely helps! I absolutely love your scarf! Looks so cozy! It's the perfect piece! I'm in love! I always love to see what people pack, because I am notorious for overpacking. Great post! I'm glad you enjoyed this! I love seeing packing posts also! It's an art! 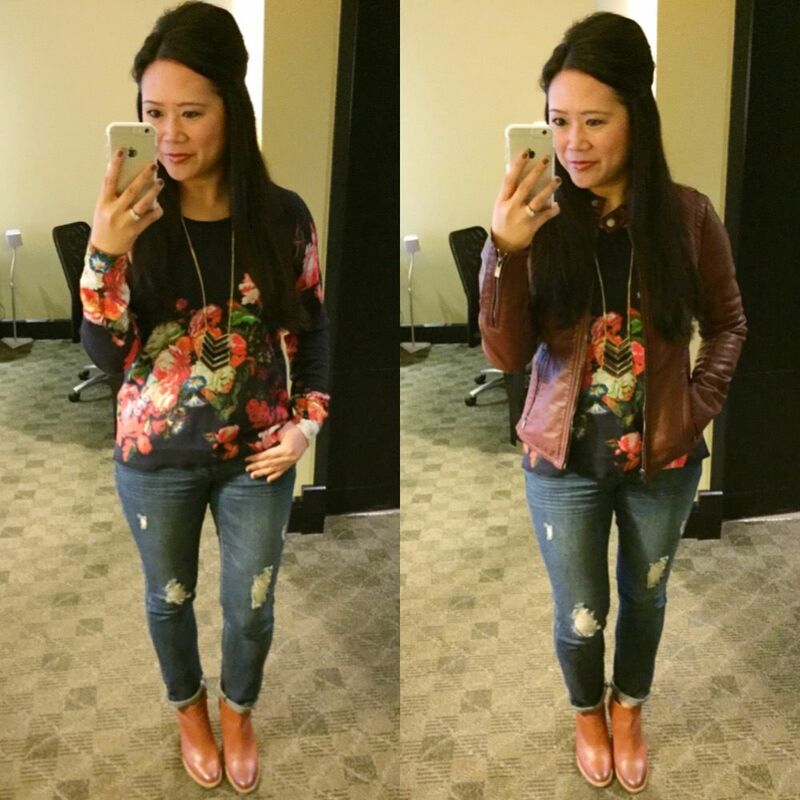 Love that floral top and the jacket, such a nice pieces. Thanks so much! I debated this jacket for so long - glad I took the plunge! Thanks so much! Would love to see you in yours!